The most recent sensational event to introduce genetically modified (GM) food crops in India has attracted the attention of the media and concerned citizens. One media report (DNA, September 22, 2015) revealed that from 2008 to 2014, only 39 of the 133 GM crop field trials were properly monitored. In 2014, three GM mustard trials of Delhi University were taken up—at two sites in Punjab and one in Delhi —during the rabi season. There is enough evidence to suggest that there was no post-harvesting foolproof monitoring in these cases. GM mustard is being developed to increase the productivity of mustard to meet the ever-growing demand for edible oil in the country. This contradicts the government's own policy of opening up the edible oil sector to the import of cheaper oils. Strangely, the government's policies are actually aimed at destroying the gains of the Technology Mission on Oilseeds, launched by late Prime Minister Rajiv Gandhi in 1985. The doubling of oilseed production during 1985-1993 enabled the country to avoid its humiliating dependence on oil imports that cost the exchequer between Rs 1,500 crore and Rs 3,000 crore annually. 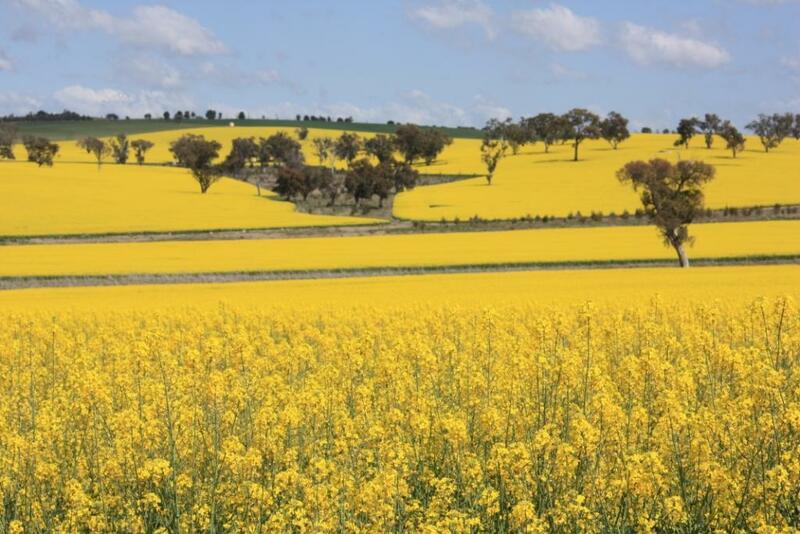 From 11 million tonnes in 1986-87, oilseed production jumped to 22 million tonnes by 1994-95. India moved from being a net importer of oilseed to a net exporter, with only negligible imports. Then, India deliberately began lowering import duties, enabling cheaper edible oil to flow in. The country now imports, on an average, five million tonnes of edible oil, roughly 50 per cent of its domestic requirement, costing the state exchequer more than Rs 9,000 crore. If India were serious about increasing the production of edible oil, the first step should be to stop unwanted imports. But alas. India is now moving towards allowing GM mustard without a precautionary approach and denying information on bio-safety. With the European Union (EU) still holding on to the moratorium on GM Food, some scientists feel the focus has shifted to countries like India to open up to GM foods and crops and thereby add on to the countless problems that already confront its farmers. The apprehension about adverse impacts emanate from experience gained from other countries. For instance, Canadaian scientists have found that a related species of engineered canola (rapeseed) has become an uncontrollable weed. At least three “super weeds” have already sprung up with regard to canola. Considering the small farm size and diversity in India, the probability of such super weeds developing is much greater. Among other impacts, GM mustard with protease inhibitors can affect honeybees directly and indirectly by influencing flowering and pollen production. It is also known that Mustard DMH 11 is an herbicide-tolerant crop that has been made resistant to Bayer’s glufosinate, which is even more toxic than glyphosate (a probable human carcinogen, according to the World Health Organization). Glufosinate is a broad spectrum herbicide that causes nerve damage and birth defects and is toxic to most organisms. It is also a neurotoxin for mammals that doesn’t easily break down in the environment. This is the first time India would be considering commercial cultivation approval of any GM food crop after an indefinite moratorium was imposed on Bt Brinjal five years ago in February 2010. This GM mustard, developed by Delhi University, called Dhara Mustard Hybrid 11 (DMH11) adopted the transgenic technology to facilitate hybridisation on claims of increased yields through such a hybrid. In creating such GM mustard, male sterility has been induced in one of the parental lines, in addition to using herbicide tolerance traits. Large-scale field trials may only be conducted when a crop has comprehensively cleared all bio-safety protocols in rigorous, independent, long-term testing and appraisal. However, this has not been the case with GM mustard. In reply to a Right to Information (RTI) query on May 15, 2015, the authority stated, “The aforesaid matter is under process and the information cannot be provided at this stage.” It should be remembered here that the Supreme Court of India has directed GESE to post the bio-safety data on the website of the Ministry if Environment, Forests and Climate Change or DBT, in its hearing on August 1, 2007. It is clear that the authorities have not complied with the order of the Supreme Court in 2007 that bio-safety data be placed in the public domain when petitioners in the GM PIL argued that unless the toxicity and allergenicity data are made known to the public, the applicants and scientists concerned in the country would not be in a position to make effective representations to the authorities concerned. This would not be the first time that a proposal for commercial cultivation of GM mustard has come up before the government. In 2002, the then Union government had rejected a proposal for commercial planting of private sector seed manufacturer Bayer's transgenic mustard. Mustard is one of the many oilseeds crops that are grown in India. Over the years, its productivity and production has been on an upswing. In 2010-11, a record mustard production of 81.8 lakh tonnes was harvested. From 9.04 quintals per hectare in 1990-91, average mustard yield has increased to 12.62 quintals in 2013-14, with Gujarat recording 16.95 quintals per hectare. Mustard yields can still be increased further if farmers are paid a remunerative price, and an adequate mandi infrastructure is created to procure the harvest every year. Since almost 70 per cent of the mustard crop is cultivated in Rajasthan, Madhya Pradesh and Haryana, the problem farmers face is that of over-production and lack of buyers. In Rajasthan particularly, the central agency NAFED has been pressed into service. Increasing production of oilseed crops like mustard, therefore, requires adequate policy initiatives. Raising import tariffs to ensure that cheaper edible oil does not flood the market, and providing an economic price for the produce can bring back self-sufficiency in edible oils. Scientists feel that there is no reason why India should be spending Rs 60,000 crore on importing edible oils that can be produced within the country. Since oilseeds are a dry land crop, encouraging oilseeds production will benefit the domestic farmers living in the harsh environs. Even the Shanta Kumar committee has, in its report on “Restructuring FCI”, dwelt on this issue and recommended that trade policies should be in tune with the country’s food self-sufficiency aim. One only wishes that such reports are implemented in action.